These proceedings report the latest progress in the fields of helio- and asteroseismology, which use sound waves to probe the interior of stars. Every two years, researchers in these fields convene under the auspices of the Global Oscillation Network Group (GONG) and the Solar and Heliospheric Observatory (SOHO) programs. This volume contains a total of 102 papers contributed by 107 participants. The proceedings of previous GONG meetings have been published as ASPCS volumes 42 and 76. 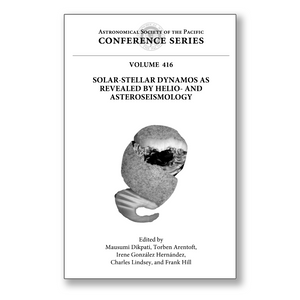 The focus of this meeting was on what seismology could reveal about the dynamo mechanism underlying solar and stellar activity. The topical sessions included Local Helioseismology; Global Helioseismology; Asteroseismology; Solar Activity: Convection, Tachocline, Dynamo, and Data Assimilation; and Major Observational Programs. The current solar activity minimum has been unusually deep and lengthy, reminding us how poorly we understand the mechanism underlying stellar activity. Seismology is the only way we can penetrate the surface of a star and probe its interior. Future observational programs, such as the Solar Dynamics Observatory, Kepler, and Picard, along with the current efforts of GONG, SOHO, and CoRoT, promise to provide clues to one of the deepest mysteries of the universe: the properties of the interiors of stars.